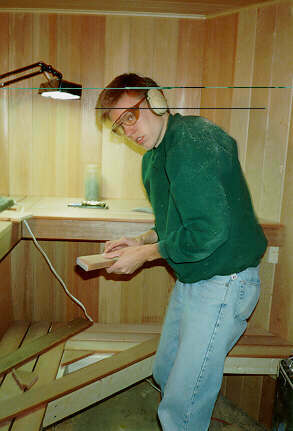 Please note...This sauna was built in my father's basement in 1993. 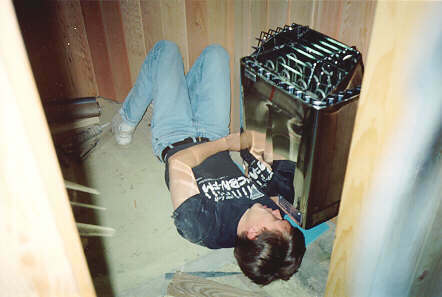 As I receive a fair number of requests for more information about building/purchasing a sauna, I have added some more useful information here. This page has been around for a few years now, but most of the information is still relavent... pictures are on this page, more info can be found by clicking on the link below. The sauna was built into the corner of the basement, where a small storage closet / wine cellar had stood. A small window, near the corner became the sauna window, while part of the larger window was retained to let light into the shower room. 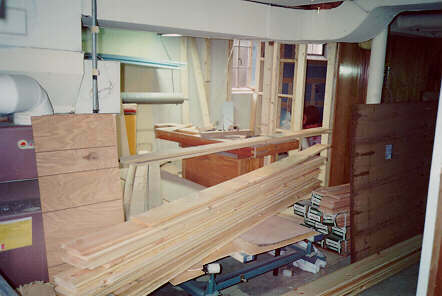 The basement was quite crowded at times during the construction, making it somewhat difficult to work. 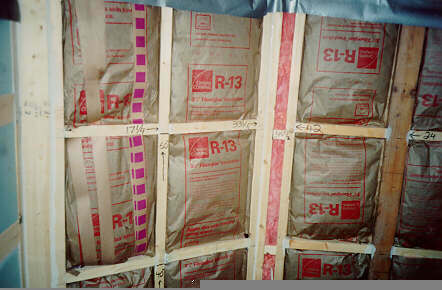 All interior walls (2x4 stud walls) received R-13 fiberglass insulation, with the barrier towards the inside of the sauna. 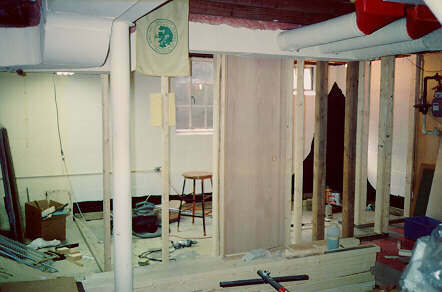 The walls facing the exterior were insulated with Styrofoam sheets (1 1/2"), with 2 x 4's on their side forming the framework and nailing surface for the paneling. 8" of fiberglass insulation was used to fill the space between the floor joists, above the ceiling of the sauna. 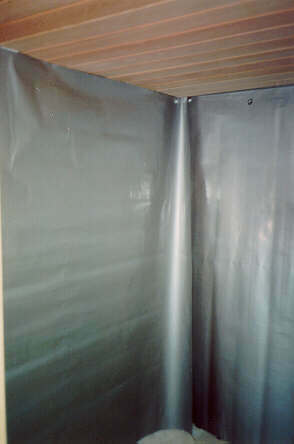 Aluminum coated tar paper was used as a vapor barrier on all walls and the ceiling. 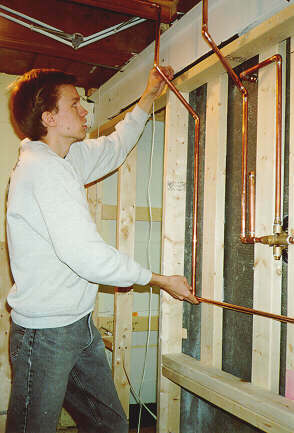 Since we where installing a shower, new copper lines had to be run from the rear of the basement. 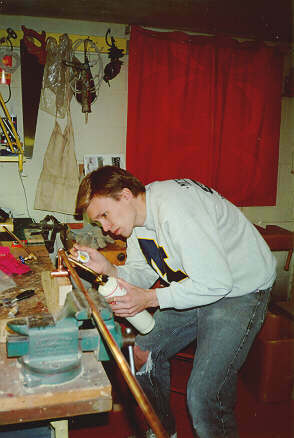 After careful measurements were made, I pre-assembled much of the plumbing before installing it. Installation of the sauna stove (electric) was quite simple, but required strong supports to hold the weight of the rocks. 4x4's where used in place of 2x4's in the stud wall behind the stove. Wiring was 220 volt. The benches are redwood, with a pine frame supporting them.